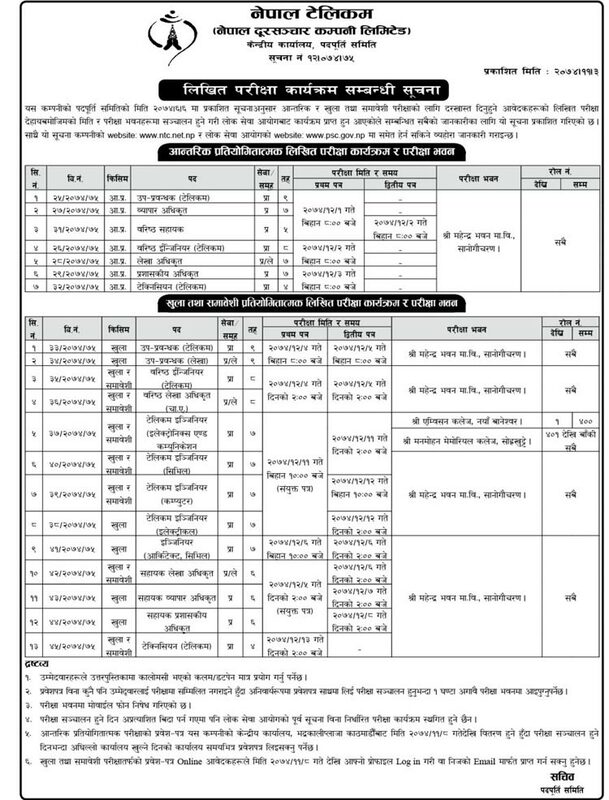 Nepal Telecom (NTC) has published the examination center notice for the written examination of the vacancy published on Ashoj 6, 2074. The examination will be conducted by Public Service Commission (Lok Sewa Aayog). Applicants who have submitted their application online can get their admit card from Falgun 8 on wards after login in to their profiles.